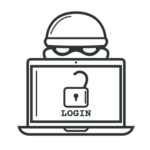 You may recall we have warned you about domain scams in the past (see domain phishing and Chinese domain scams) however it appears some of these scammers are still operating or operating under new business names. 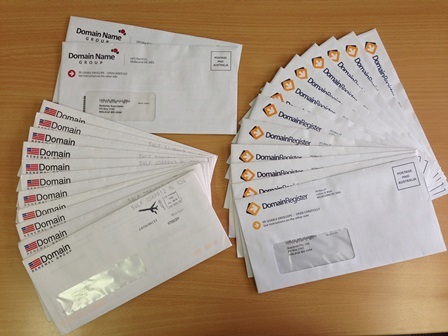 We’ve received reports of customers who have paid these dodgy domain companies because they were sent documents that appear to be invoices. 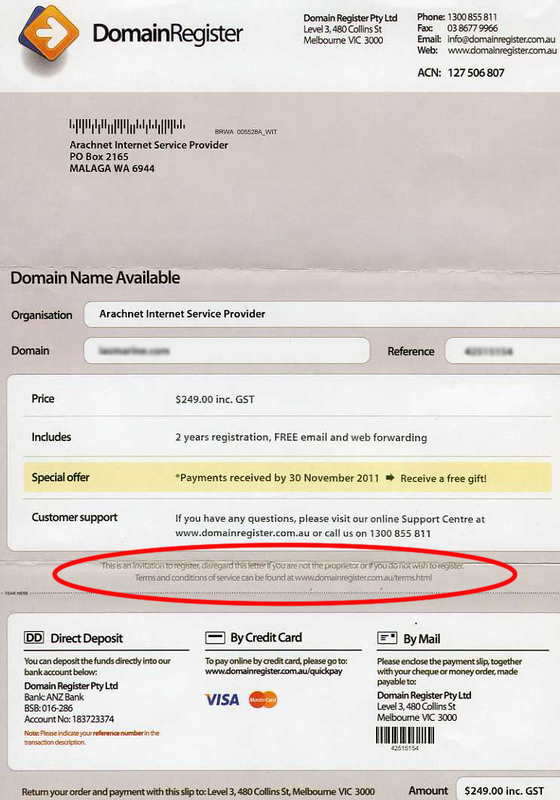 As you can see, we frequently receive these scam letters which are sent out by searching the publicly available WHOIS databases. 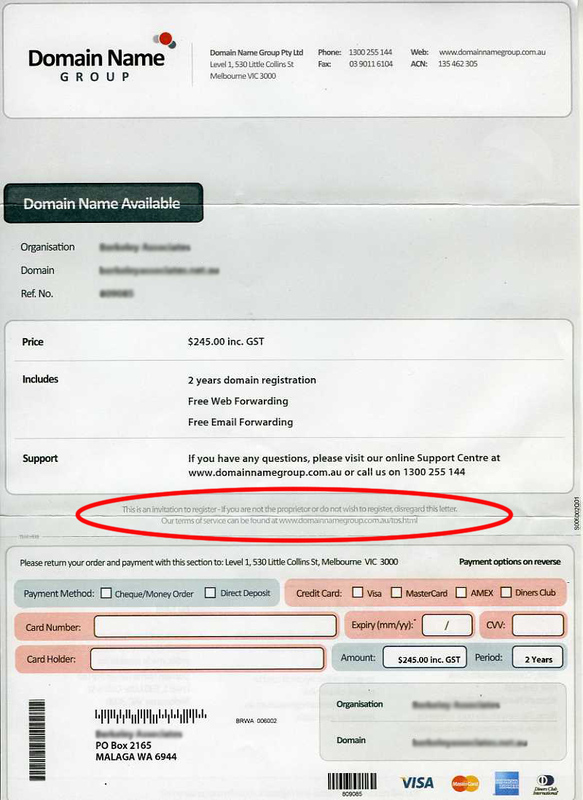 Below are examples of these letters with the disclaimer circled in red, where it warns that the letter is not a bill but an “invitation to register a new domain”. 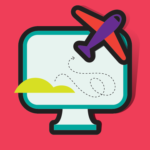 The above invoice from Domain Renewal Group (formerly known as Domain Registry of America) wants you to transfer your domain to them for more than you are currently paying at HostAway. 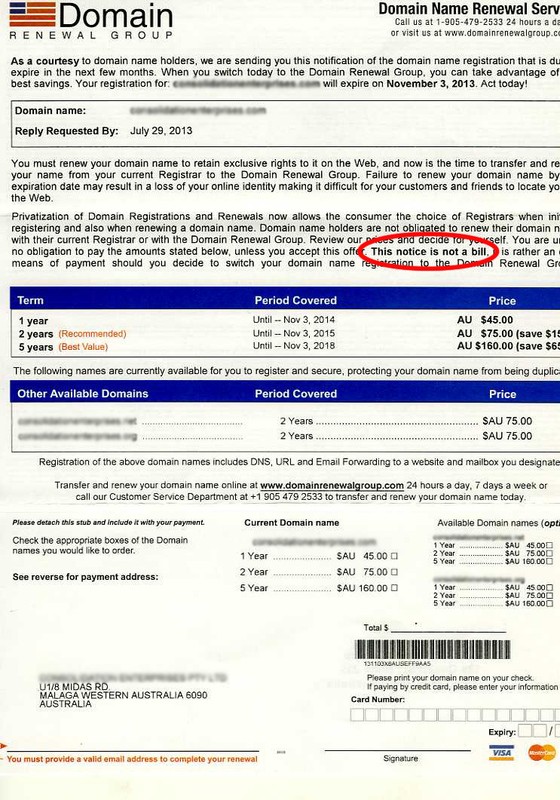 The invoices below are even more expensive, wanting exorbitant prices for domains you either already own or may wish to register. If in doubt, please give us a call as we can quickly advise whether an invoice is legitimate or not! 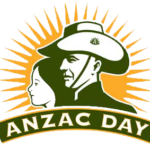 For more information please visit the Scamwatch website.